Never Worry About Your Home Systems in New Milford, NJ Again! Are you sure that your home is running at peak efficiency? It is important to know that you have the best systems in place, or you could run into some unpleasant and potentially expensive issues. Often, people don’t think to consider whether their heating and cooling systems are working well until it is too late. With the weather in New Milford, NJ changing at a moment’s notice, it can be extremely important to know that everything is working properly. Getting your home systems evaluated is critical to making sure you don’t end up in an unexpected cold snap without a working heater or a sudden heat-wave without any air. This issue does not just apply to heating and cooling; most people also wait until it is too late to address their plumbing problems. Think about it, when was the last time you had the plumbing in your checked? Are you every worried that you are playing a waiting game that could end in a costly disaster? 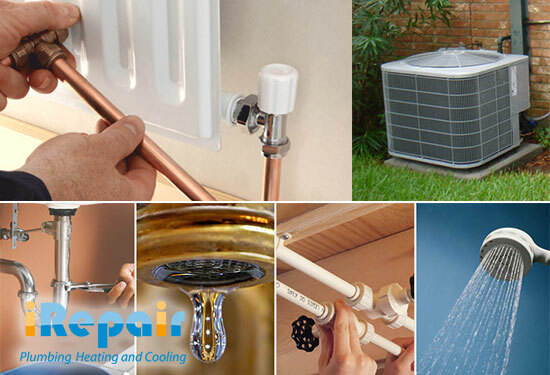 If you have wanted that new heater or air conditioner for a long time but have been putting off the installation, or if you’ve been wondering why your sink won’t drain, then it is time to rethink your strategy. There’s no time like the present to make sure everything in your home is working just the way it should. The team at iRepair is made up of friendly technicians that work to give you the best service at the absolute lowest rates. We also have technicians available to help with any service or repair needs you may have, whenever they come up. iRepair ensures you’ll always have the best systems at the lowest rates. Knowing you have a fast and reliable solution to your home maintenance issues can help relieve the stress that you often feel wondering when something might break.